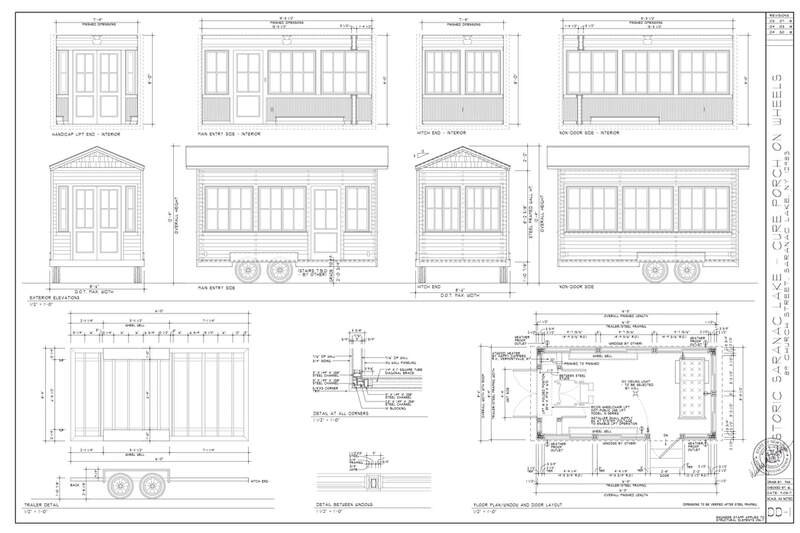 Historic Saranac Lake is happy to announce that today engineer Wiley Lavigne stamped the architectural plans for the Cure Porch on Wheels. With his official seal on the design, we are can continue the construction of the Porch with confidence. Don Rumble is constructing the steel frame of the Porch, after which the Porch will be wheeled to BOCES Building Trades shop where the local students lead by instructor Clarence Brockway will spend the final month of the semester working on it. We thank designer Melissa Kline, engineer Wiley Lavigne, contractor Don Rumble, and BOCES Building Trades instructor Clarence Brockway, for their hard work on these designs.